This a simple tutorial about how to create a local dependecy injection within two EJBs 3.0. The point is creating one EJB that calls a method from another local EJB with Netbeans and Glassfish. 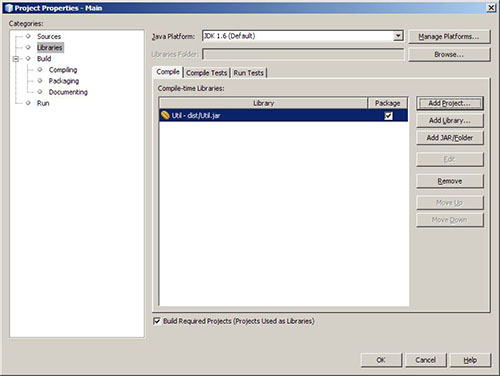 Start Netbeans and create a new EJB project called Util and add a new session bean to it. Make it stateless and local. Now create a second EJB project called Main and add a new session bean to it, like in the Util EJB. Include the Util EJB inside the Main EJB project. Note that we use @EJB to instantiate the Util EJB object. The site is almost ready. In a few days I will begin with my new XNA project called Spin (working title). More news to come. Stay tuned!! Here it is. Day Zero. The first post of my shiny new website. This is going to be the start of a long journey, so fasten your seat belts and enjoy the ride.